Over the past couple years, we have witnessed a newfound interest in SMS Marketing from the haunted attraction industry. 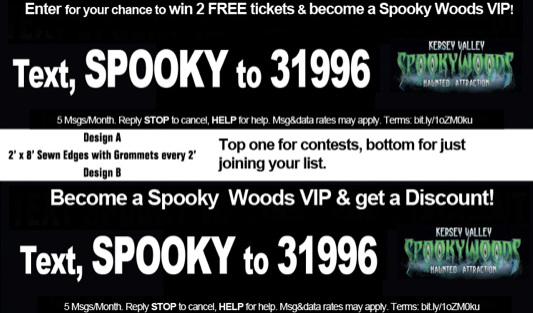 In 2014, we had the opportunity to work with a well-known industry leader, Kersey Valley Spookywoods. Kersey Valley is a multi attraction resort that offers laser tag, corn mazes, haunted attractions, and zip-line courses across their beautiful 60 acre property. SlickText worked closely with Tony Wohlgemuth, founder of Kersey Valley Inc., to help him develop a solid growth strategy. This is the detailed case study of what Tony and his team did to engage and grow their subscriber list. First, we checked off the basics. 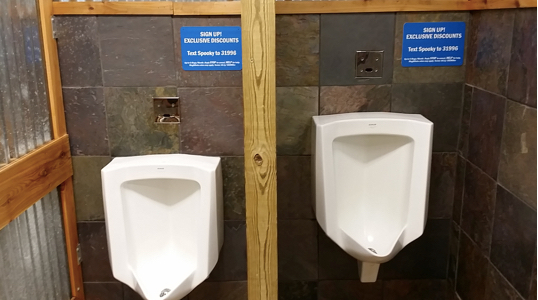 We installed restroom signage to capture subscribers during events and developed a web widget for site visitors. Our initial launch was well received with 152 subscribers from 7/14/2014 to 7/16/2014. We also announced the campaign on Facebook, encouraging fans to opt in for exclusive offers. At this point there were no incentives to join the list or contests running. The only motivation was promise of future exclusive offers. Growth spiked by 447 subscribers in 1 day alone. 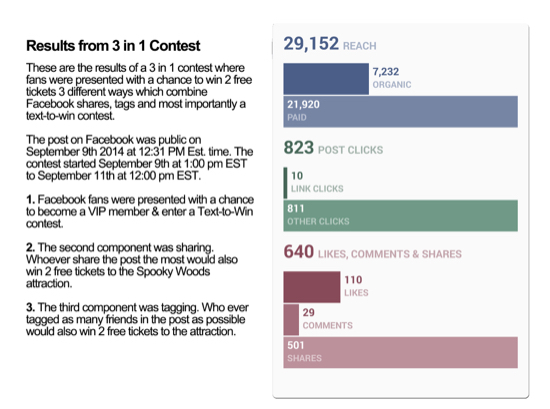 The web widget, and Facebook posts provided consistent growth for about a month. Then, starting September 10th 2014, a large scale campaign was launched on social media. The post was a 3-in-1 contest where fans could text in to join for the best prize, then share the post the most, and tag as many friends as they could. Winners were notified via text with SlickText’s contest feature, and then selected based off Facebook analytics as to who shared and tagged the most. What did Spookywoods do to spike growth in 24 hours? 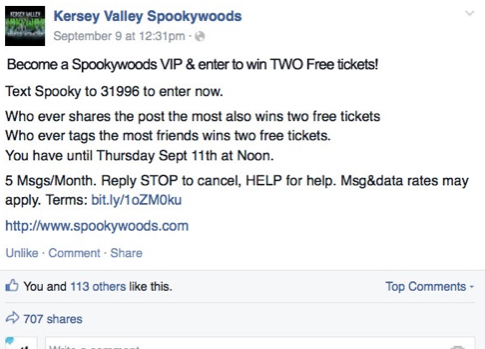 Tony: I posted a simple statement on Facebook, “Who wants FREE tickets to Spookywoods 2014?” This particular post reached over 32,000 people and had 150 shares. This post reached 15,000 people, and had 62 shares in just a few hours. Within 24 hours, there were 436 new subscribers on Tony’s list.